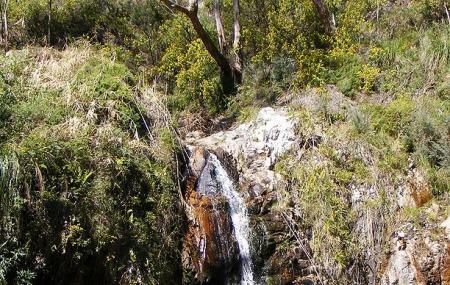 The Waterfall Gully is situated in the foothills of Mt. Lofty ranges and is popular for its exhilarating views. The main attraction here is the First Falls which is a stunning waterfall at the South-eastern end. Since the construction of the Waterfall Gully Restaurant in the year 1912, the development has progressed. The tracks here have been rebuilt completely and a lot of challenging routes have been sealed because of the complex terrains. A few trails offer stunning views of the Gully and the Adelaide city. If you love hiking and would like to admire the wondrous beauty of nature, the Waterfall Gully would be the ideal place to visit. On some days the park may be closed due to extreme fire danger. Make sure you carry enough water for the trip. Daylight Savings Period Closing Time: 9 pm. Utopia @ Waterfall Gully restaurant is open 9 am to 5 pm from Wednesday to Thursday, Friday and public holidays 9 am - dusk and Saturday to Sunday 8 am -dusk. Love this? Explore the entire list of places to visit in Adelaide before you plan your trip. Fancy a good night's sleep after a tiring day? Check out where to stay in Adelaide and book an accommodation of your choice. How popular is Waterfall Gully? People normally club together Skycity Adelaide Casino and Mt. Lofty Summit while planning their visit to Waterfall Gully.